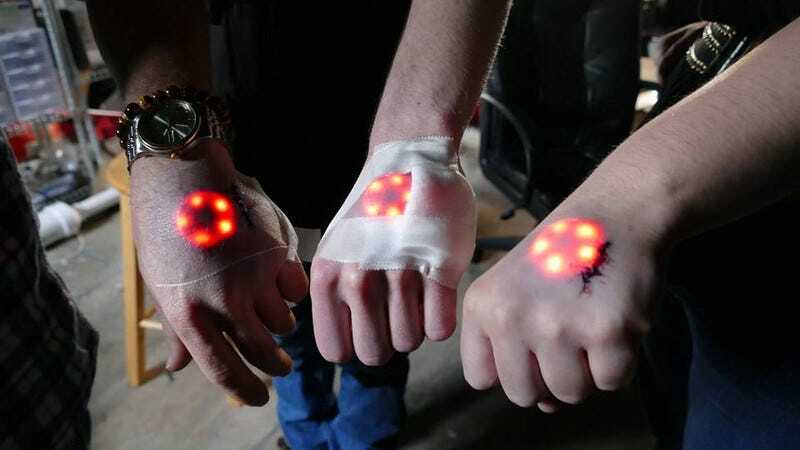 As Motherboard reports, the Pittsburgh-based biohacking collective performed three implantations in conjunction with a simultaneous operation in Dusseldorf last Saturday. The new light-up device, dubbed the Northstar V1, is about the size of a large coin, making it considerably smaller than an earlier version, the Circadia 1.0 computer chip. The procedure to implant the device required only 15 minutes (gory pictures here), and was performed under strict conditions. The group plans on making the device available next year. Ideally, Grindhouse would like to sell as many as 100 Northstar V1 devices through tattoo studios worldwide. Looking to the future, Grindhouse has big plans. A future version of the chip could, in addition to its cosmetic functionality, deliver important biometric information to an external device like a phone. Another neat feature will be the ability of the chip to register a person’s hand movements, and wirelessly relay those signals to receiving device. It would serve as a customizable hands-free controller. You’ll never have to say, “Hey Siri” again. There’s much more at Motherboard.